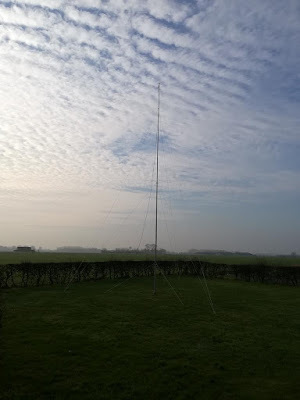 This DX site was created to let fellow dxer's know what we are up to while on DXpeditions in our former Walsoorden site (HOL) and the new site near Veurne, West Flanders, Belgium. We hope it inspires other dxers to try DXpeditions. We travel to such locations to escape noise and to be able to put out long beverage antennas. Something we cannot do from home. 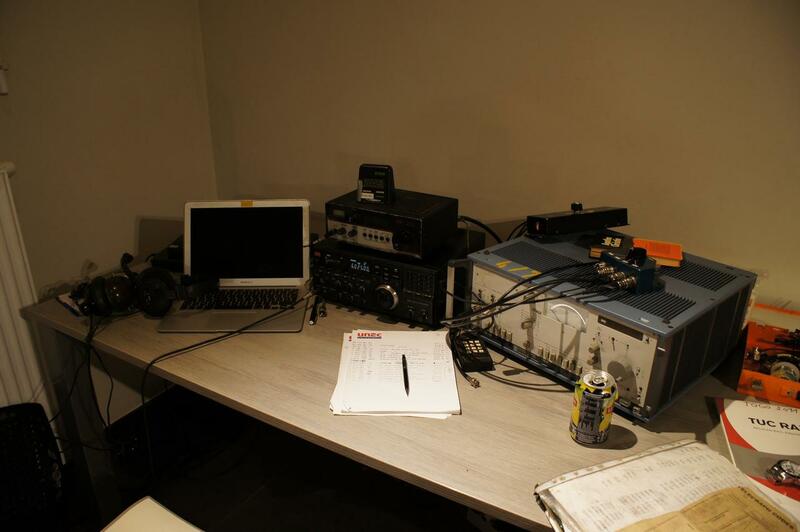 DXpeditions take place several times a year. Usually in winter. 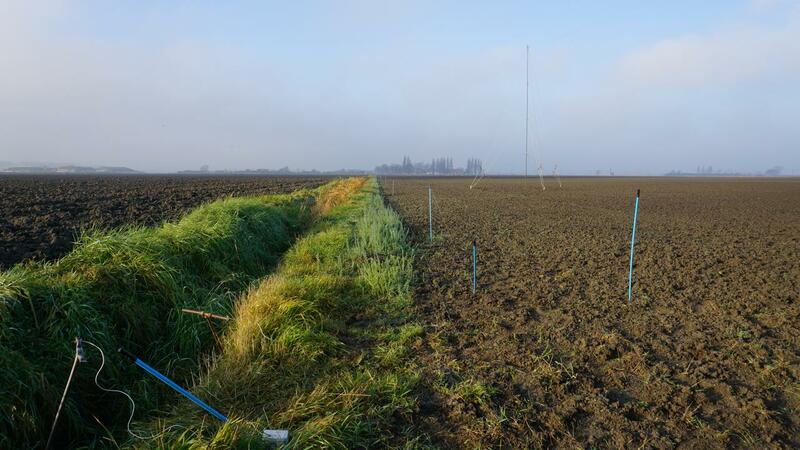 Dxer's from Belgium and The Netherlands take the opportunity to dx from such rural dx location. Are you interested in future dx trips? Get in touch with us. Send an email to us. 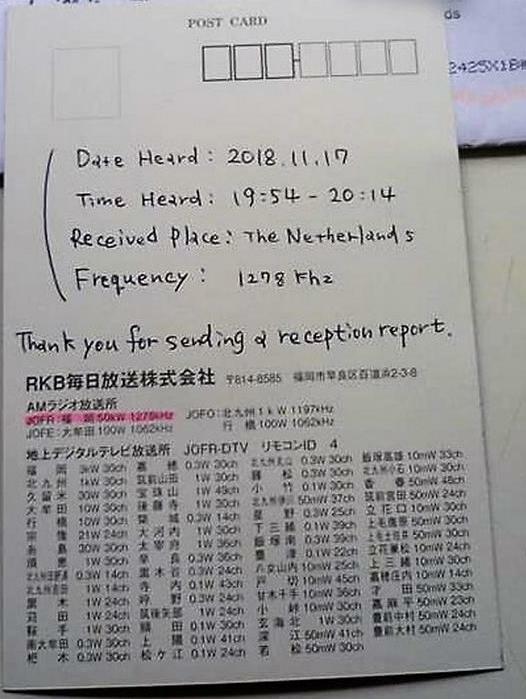 We are always happy hearing from dxer's from other countries. 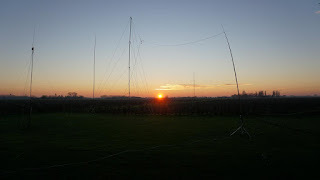 On January the 11th it was once again time to pack radio stuff and move to the West Coast of Flanders to put up our antennas and eavesdrop the airwaves for the most distant signals. 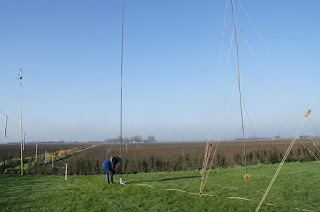 Weather was fine so putting up the different antennas was going more or less without major issues. At first sight, the fields where looking fine but still it turned out that the clay sticked tightly to our boots making walking around difficult. This time we opted to move the (80-260°) reversible beverage antenna to 70-250°. It seemed to be not such a good choice while it’s performance was definitely lower than during previous editions of our DX-peditions here. But it just could have been propagation as well. We also had some bad luck with a bad connection caused by a plug. 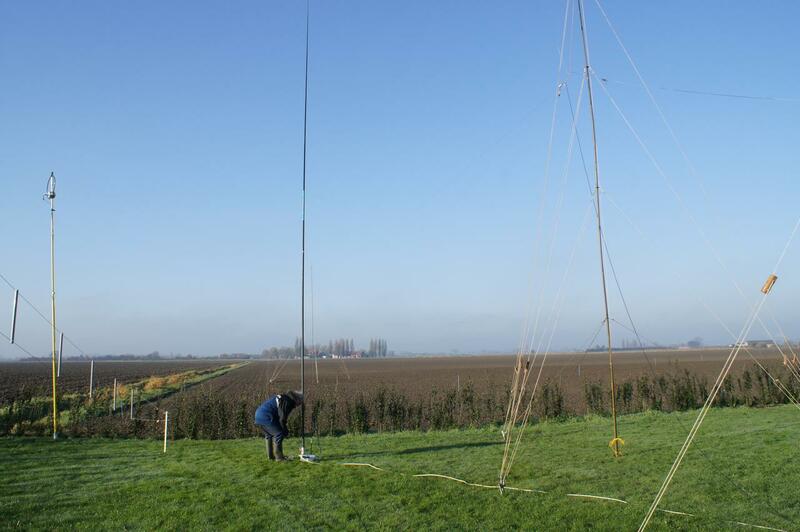 The North American antenna which we pointed previously to 290° was moved to 325°. We never before heard West coasters here and while solar cycle is at its low end and indices are also low, we would give that a try. 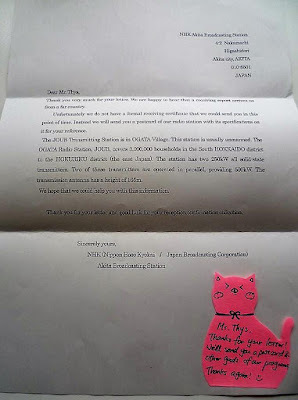 Also a real Alaska antenna at 350° was erected and one for Japan at 40°. All were between 300 and 400 meters long. 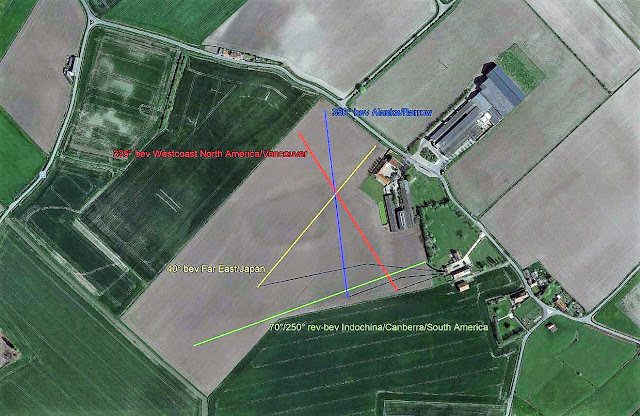 There was also an impressive number of other antennas like a verticals, KAZ, double LZ1AQ loop, Stampfl AD2 and an AN1. Plenty of space for Beverage antennas, at least for Central European standards. 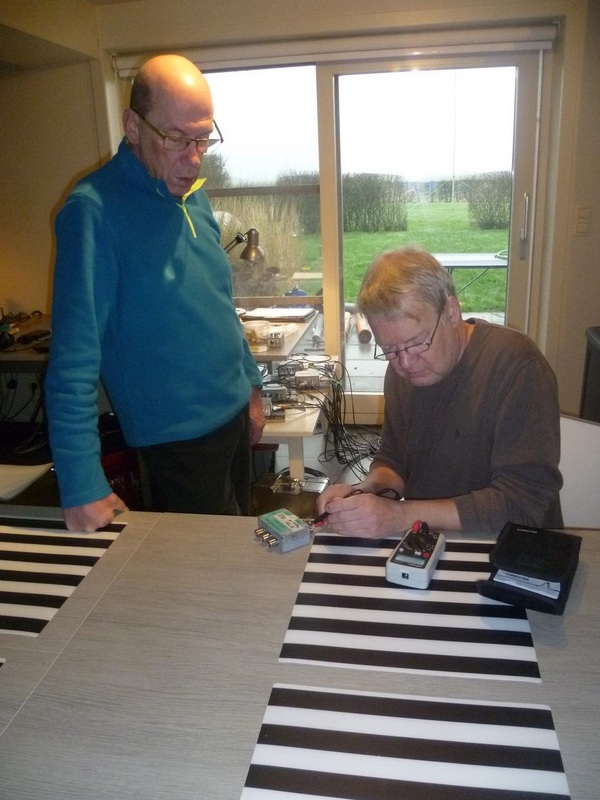 All participants arrived nice in time and gave the needed assistance to arrange everything: Marc Vissers, Frank Huyghe, Ron Liekens, Frank Thys, Leen van Oeveren, Jan Feenstra, me (Guido Schotmans), and newcomers Aart Rouw, Han Hardonk. As usual, Hugo Matten collected the shopping from the supermarket. 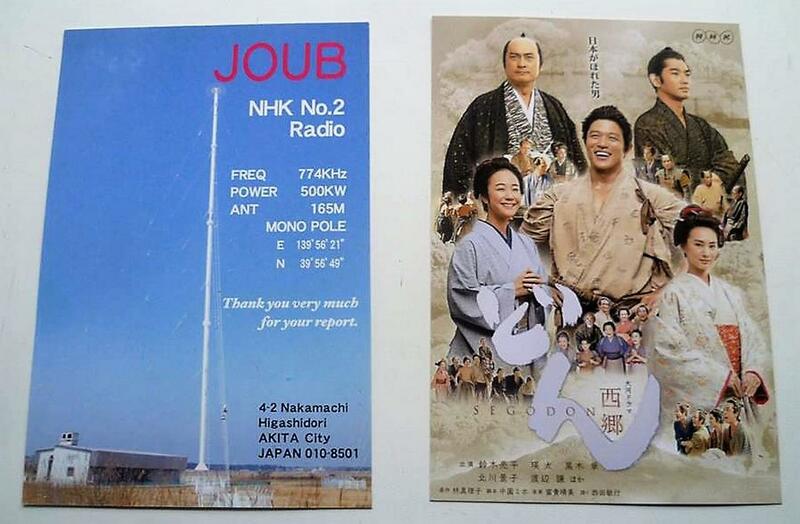 and JONR ABC Asahi Hoso on 1008 kHz that was only 2 weeks before vacated by the Dutch Groot Nieuws Radio. 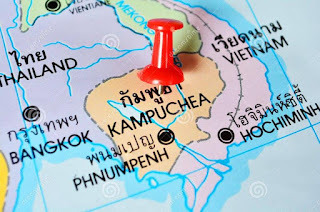 Also Kampuchea on 918 kHz was a nice Firstimer that just came out of the noise when playing their National Anthem. On Saturday afternoon Aart yelled “Alaska” via our WhatsApp alarm line. And indeed, bits and traces where audible and we could verify that it really was KBRW on 680 by checking the online stream. But signal stayed unfortunately so low that almost nothing was understandable besides one or two words somewhere, and by the time we reached the top of the hour the Spanish adjacent channels was so strong that all signals on 680 where drowned. 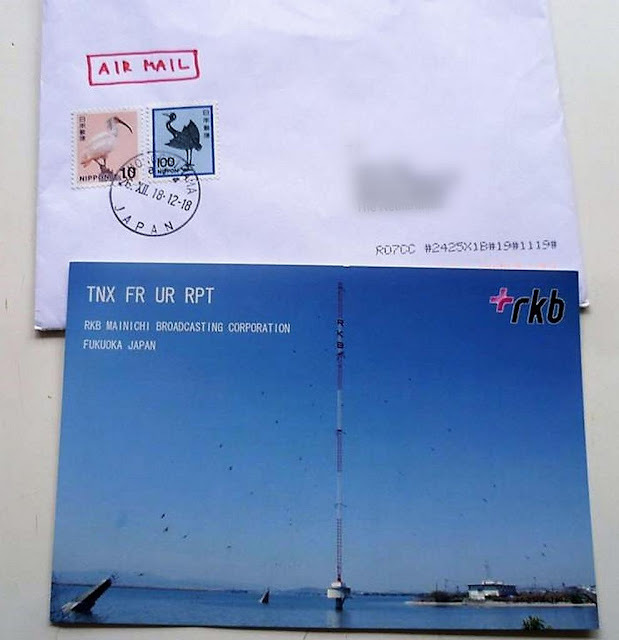 So it was clear that propagation wasn’t going to reach the levels it reached 2 or 3 weeks before when KBRW was even heard on an ALA loop antenna in central Europe. Although we had a specific Alaska beverage. But we need a challenge for next time. No worries, there was still a lot to come. As said above we moved our North America antenna from 290° to 325°. That was a big goal. This direction points to the West Coast, to Vancouver Canada to be precise. 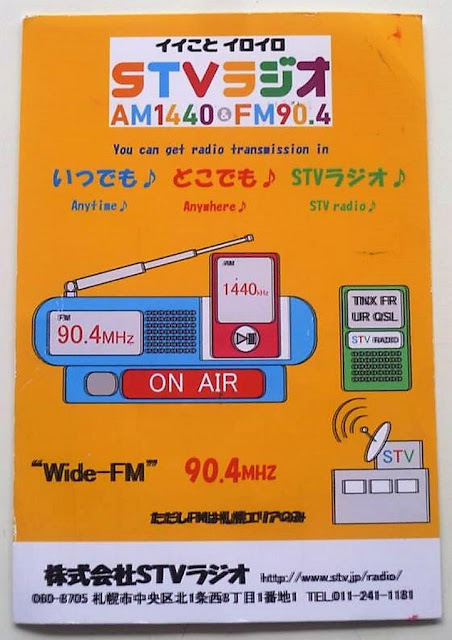 During live listening we already found that Spanish stations weren’t disturbing Trans-Atlantic channels as much as before and several stations from the Midwest where found at decent levels. But when analysing files at home later, the big revelation came. Especially Marc Vissers clung to the subject and found almost 40 “First logs” mostly from the Midwest but also several from the West-Coast and a few had really good strength. In fact it was the first time we were able to hear Westcoasters during a DXpedition. You can take a look at Marc's TA-Logs here. 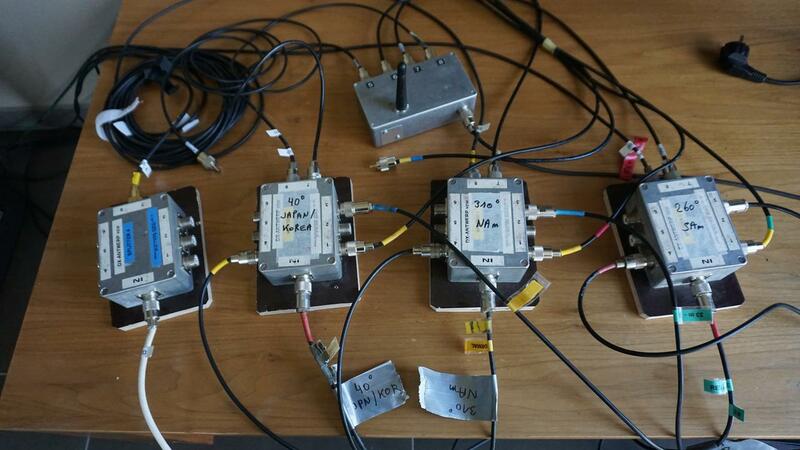 Several other participant were busy testing other kinds of antennas and comparing software solutions. 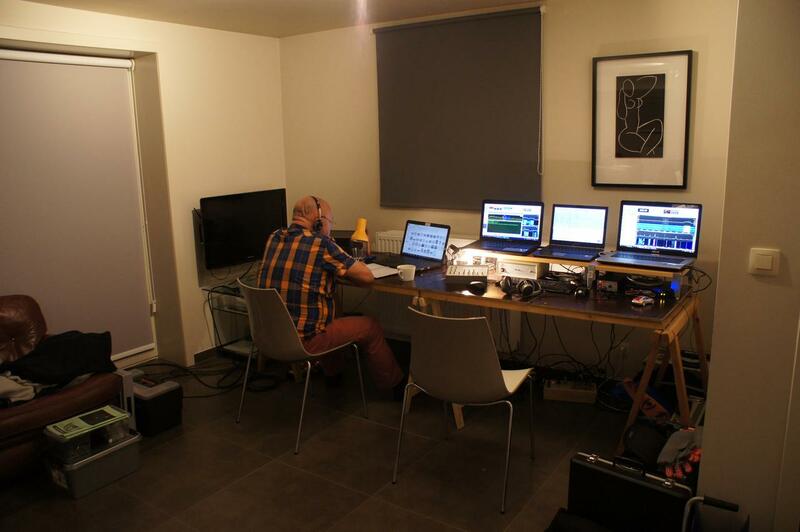 Trying to keep up with latest SDR-console possibilities is also always impressive. Frank Huyghe, our FAX guru was a bit disappointed by the results he got in his hobby section. And besides DXing, there is always time for good food and drinks and exchanging ideas about this most interesting hobby. Next appointment at Knollehof will be next November. A lot more about our DXpedition can be found on this FB-group. Frank Thijs provided a few nice Japanese QSL's he received for reports of stations he put in his log for the Knollehof DXped site. 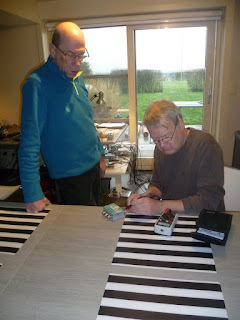 This time, I was not able to take part in the Autumn edition of the Knollehof DX-pedition because of family reasons. Marc Vissers was so kind to write this report. 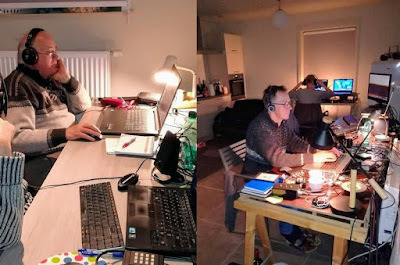 We had been looking forward to it for months and finally on November 16, 2018 our fourth DX-Weekend on our new site, 't Knollehof in Veurne, Belgium took off. Frank Thys, Ron Liekens, Frank Huyghe, Marc Van Leemputten, Leen van Oeveren, Jan Feenstra and me. Unfortunately, this time for a change we had to manage things without Guido, who couldn't be present due to circumstances. Luckily, he had been a good teacher to us in the past editions, so everyone did their job well and it all came to a good end. Looking back, it was Hugo Matten (thanks!) Who could present us this beautiful location in 2017 which turned out to be a hit. 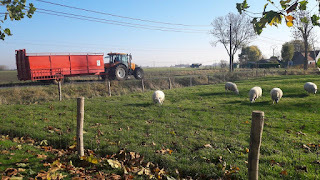 A short presentation: 't Knollehof is located near the quiet village of Eggewaartskapelle, part of the town of Veurne, with it’s beautiful historic buildings. 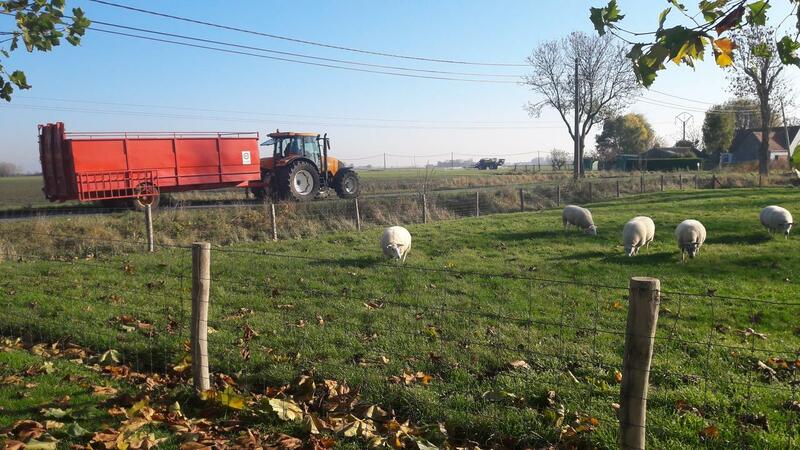 The completely renovated farm by Pieter and Hilde is equipped with 2 spacious holiday homes that are modern and functional in a part of the large barn without compromising the authenticity and charms of the farm. There is a beautifully landscaped courtyard and a large garden overlooking the fields. These beautiful holiday homes also have a private terrace and are situated in the middle of the Flemish polders, only a 15-minute drive from the Belgian coast. The cottage 'Texel' is the most ideal in terms of space and can accommodate up to 10 people, but because it only has 7 beds (double/single/stack), we only allow a maximum of 7 DXers there so that everyone has their own bed. That way it remains comfortable for everyone. You can read more about this holiday location here. When there are not enough participants to fill up two DX-Weekends after each other, the second house 'Bleu du maine' is also used. That was e.g. the case in November. A maximum of 4 people can be seated there, but with three being preferable, given the limited space on the ground floor. Both houses have a wood-burning stove that keeps us warm during the cold autumn and winter nights. The large house also has central heating, the small house electric radiators. So, no one is going to be cold, on the contrary. As always Pieter and Hilde ensured that the stoves are already burning when the first DXers arrived on Friday morning 9am. 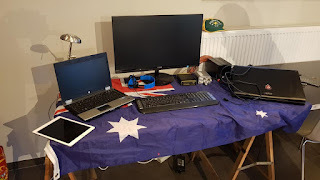 Afterwards, the space is rearranged by us so that everyone has at least one place for his technical toys, which these days consist of one or more laptops, SDR receivers and related accessories. What a difference with our first DX-Weekends when computers were still a rarity and were initially cursed more than once because of the undesirable interference they caused. Fortunately, this phenomenon has become a rare thing, and computers and laptops are increasingly becoming more part of the standard equipment of today's DXer. 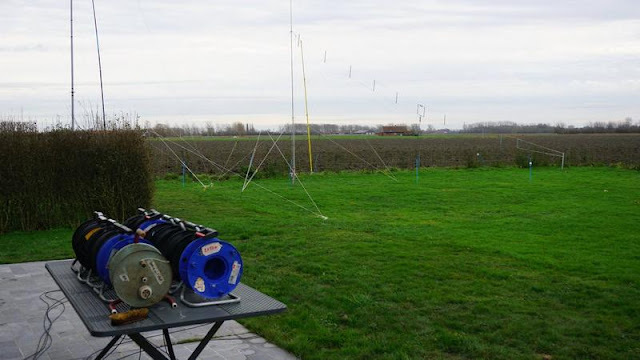 Our DX-Weekend locations should not only be comfortable and spacious enough inside, there is also a necessity for enough space outside to set up antennas. For the so-called beverage antennas, we still need at least several hundred meters in different directions. 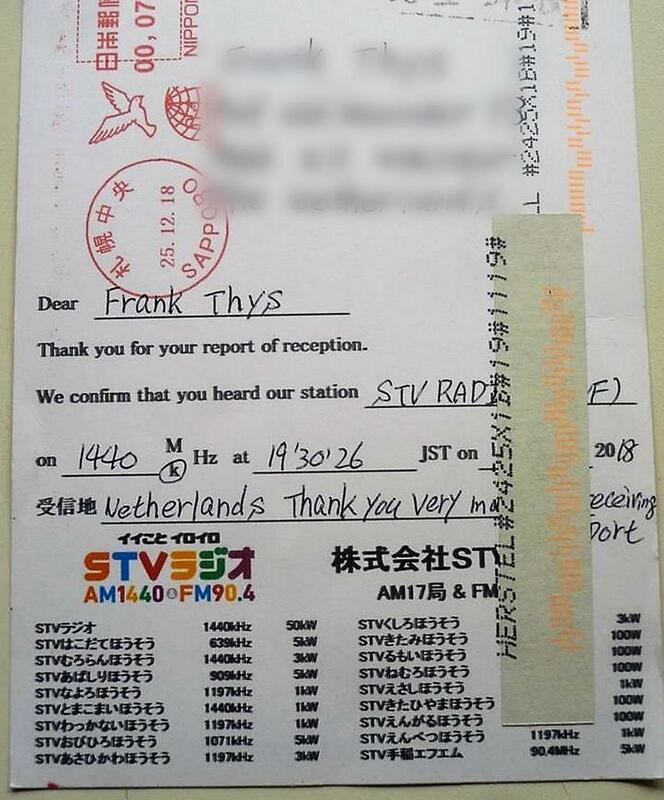 That is why it is not so obvious to find a good DX-location in the Benelux. And we were lucky with the weather: Friday a misty start, Saturday and Sunday sunny and dry to finish Monday morning with a lot of wind and later rain on departure, but no real extremes. What a difference with earlier editions from plodding muddy fields in rain and wind, braving heavy snowfall to difficult walks on frozen surfaces in an icy cold wind. We have experienced quite different circumstances in the past, but that only hardened us as DX'ers. Everything worked immediately as it should, which has not always been the case at former DX-Weekends: bad or oxidized connections, broken wire, bad coax connectors or even forgotten things like unconnected coaxes, baluns or terminal resistors. Those things happen but because of years of experience, are usually quickly traced and repaired. I think you can imagine that the whole collection looked quite impressive, especially at sunrise and sunset when many beautiful pictures could be shot. The necessary coax cables were led in via the existing sliding doors and connected to passive or active splitters, equipped with enough outputs. DXers are then free to use the outputs for connecting their equipment to, but with the explicit request not to do this during DXing conditions and certainly not on top of the hour. More than once in the past, an identification had been missed/disturbed by crackling noises from coax cables that were connected or disconnected. Therefore, a multiple input antenna switch is an absolute must on DX-Weekends like these. The beverage antenna splitting centre. Frank Huyghe, Marc Van Leemputten, Leen van Oeveren and Jan Feenstra had settled in the big house. In the small house were Frank Thys, Ron Liekens and me. Pretty cosy, I must confess honestly. Once seated, the radios were quickly warmed up and listening started. 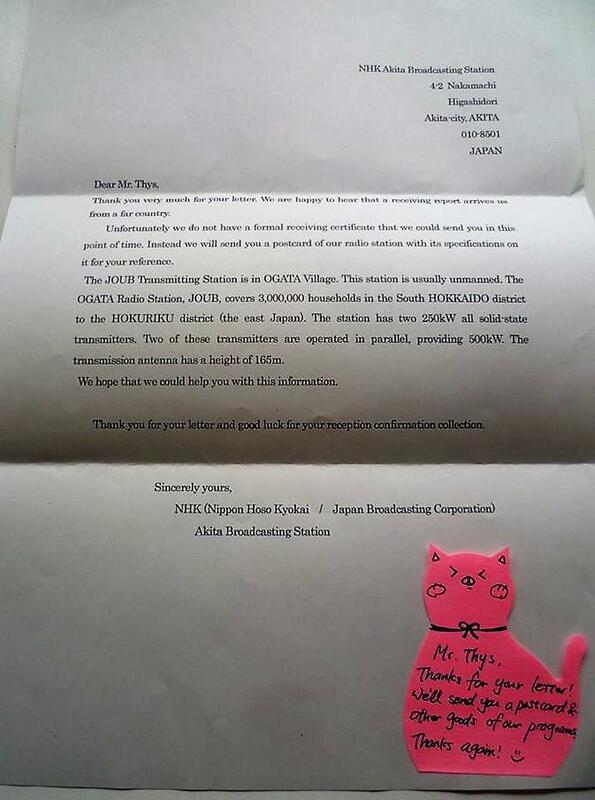 It's striking how little noise there is on the airwaves compared to our personal QTHs. Initially there was some consternation in the small house, when we were plagued by an interfering digital signal that came and went causing severe QRM. 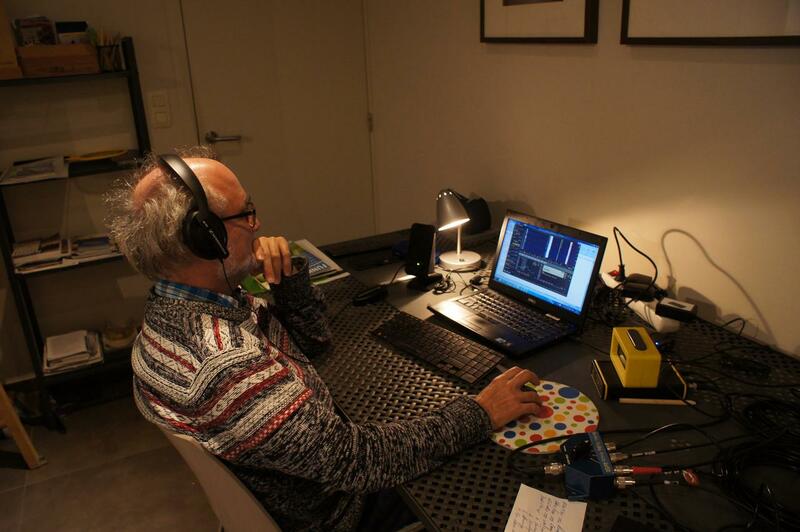 Fortunately, it disappeared after a while and we were able to enjoy the first DX signals on our radios. The ionosphere had just come quiet after a strong solar storm earlier in the week and the A-index remained low throughout the weekend. Sometimes you need to be lucky. As: 891 THA Sor. Wor. Thor. 1098 TWN Radio Taiwan Int. 1557 TWN Radio Taiwan Int. 1320 CAN CHMB, Vancouver BC ? 1400 GRD Harbour Light of the Windw. 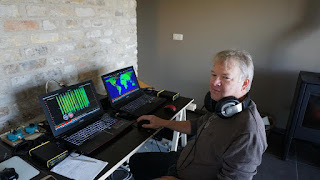 The previous dx-peditions we had the amazing luck of hearing Australia for the first time on medium wave, with a real Aussie (Dave) amongst us. He could hardly believe it himself. This time, however, there were weak signals from the west coast of North America, more specifically Vancouver. 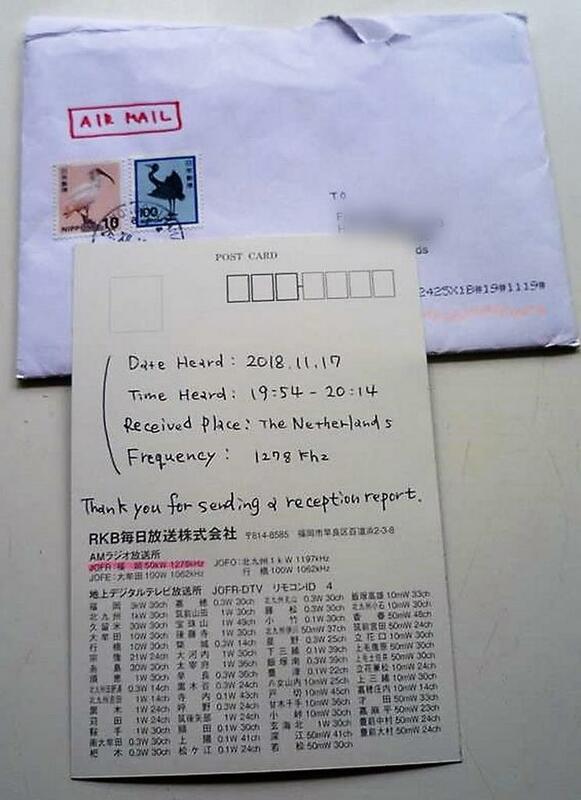 In Scandinavia, such receptions are normal, but here it is a rarity. So, we can only hope that we will hear a little bit more West coasters on the next weekends. On the South America beverage Argentina could be heard on different frequencies, quite impressive when you see the distance to these stations = +11,000 km! 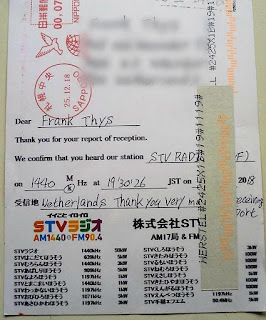 On shortwave, on the other hand, it was a bit disappointing. Not only more and more radio stations go off air, but the sunspot minimum also begins to manifest clearly with ever lower MUFs. As a result, a lot less was heard on the higher bands. In addition to DXing itself, there was of course also a lot of experimenting with antennas, baluns, comparing equipment and exchanging experiences. 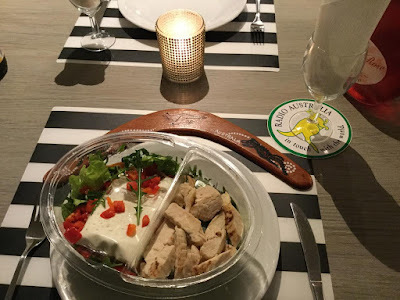 Of course, it is also necessary to satisfy our hunger but also that is taken care off. Our chairman John ensures as always that everything is there to get us through the long weekend unscathed. There are no cooking princesses amongst us unfortunately, so we had to put up with Chinese meals, bread and sandwich spreads. And at diner, a delicious bottle of wine or a nice Belgian beer is never far away to make things easier. Between meals there are snacks, soups, fruit and so on. And we can always rely on the freshly baked waffles from Hugo's female. If you were not fast enough, you probably only just had smelled them. So, no, you don't really get starved on a DX-Weekend 😊. In conclusion we can look back on a very successful DX-Weekend. In the meantime, there is the count down to the next edition in January 2019. More about that later. From 12 to 15th of January we were once again at Knollehof, Veurne. It was the second time we were guests there. The ride was good this time without heavy traffic jams or bad weather. Soon we were welcomed warmly by the owners. Putting up the antennas was going well. The sun was shining and there was no wind at all. But there was still a lot of mud we had to dig through. The bird eye view looks like this. Click on it to see it in Google Maps. 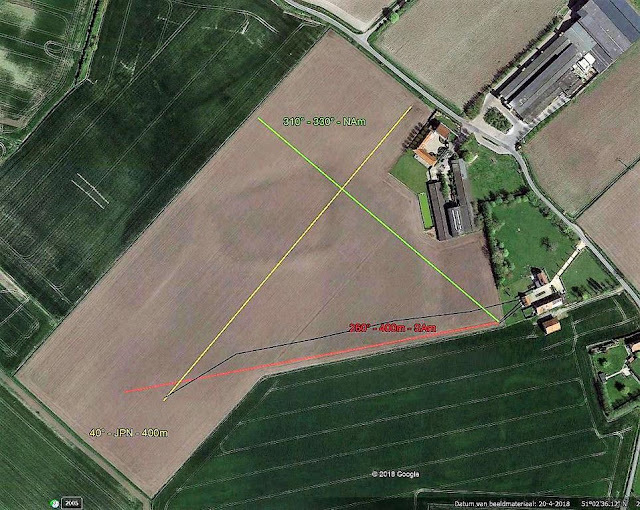 This time we hadn't permission to put up a beverage on the southern field so we had to put the Japan beverage (yellow) further away and had to be fed via a 400m coax line. But we've done that before and there is no significant signal loss. 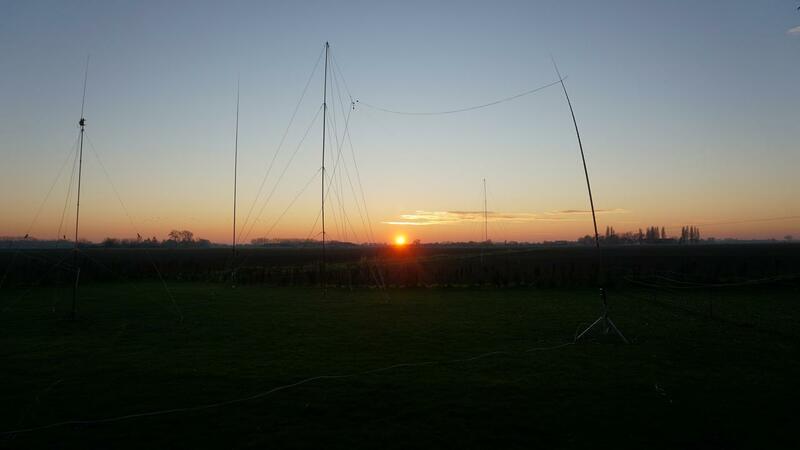 Besides these we also put up a Mini whip for shortwave. We were proud that the mast was standing so straight up. It was the second attempt to test a separated 2-wire reversible beverage antenna versus a twisted pair version (pictures here), but also this time we had bad luck while one of the splitters was not in good shape and delivered not the signal to be expected. And we found this only later when the antenna was already removed. The conditions were a bit below average. We still collected a lot of stations in the log but had some more effort than usual to dig them out. 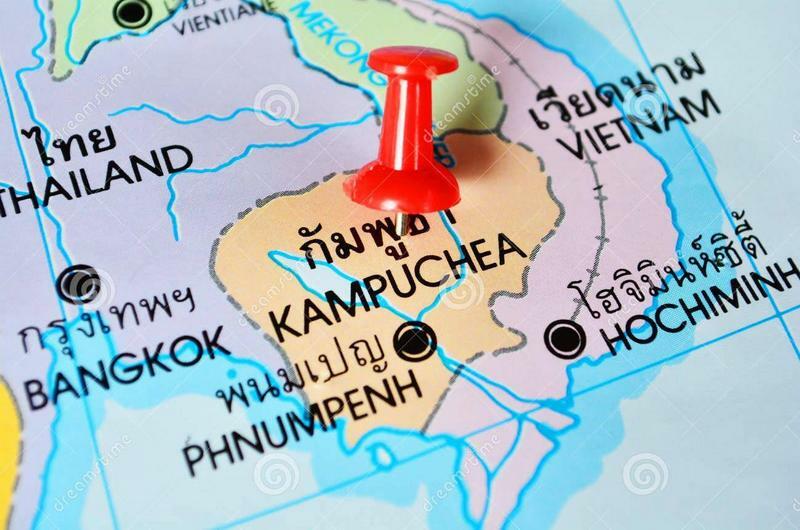 The first day however we had some good expectations while Radyo La Verdad from the Philippines was putting out a good signal. But that trend didn't continue. There was not much variation in conditions over the night. Also no morning grey zone effect was noticed. Only 3 so called "First" receptions were heard which is rather low compared with other occasions. 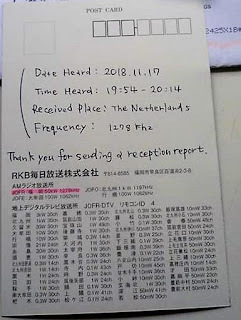 They were Jinan RGD Traffic from China on 1512 kHz, Sor. Wor. Sor., Pathum Thani-Khlong from Thailand on 1467 kHz and ALT FM from Roumania on 1602 kHz. Below you can find two interesting sound clips followed by the logs. The loggings are following after a few pictures. pull in 5AN 891 kHz well enough to put it in the log. Guido Schotmans. Simple theme. Powered by Blogger.